When it comes to rules, my philosophy is don’t break them just for the sake of breaking them. However, if it’s a dumb rule, snap it like a twig. Same thing applies to recipes. Obviously you gotta play by the rules when it comes to baking. And I’m OK with that. But fortunately I’ve learned not to follow the letter of the law where general cooking is concerned. I used to be a teetotaler about ingredient amounts and varieties. Like, if a recipe called for vegetable stock and all I had was chicken stock, I wouldn’t even feel comfortable making that substitution. But I’ve come a long way, baby. 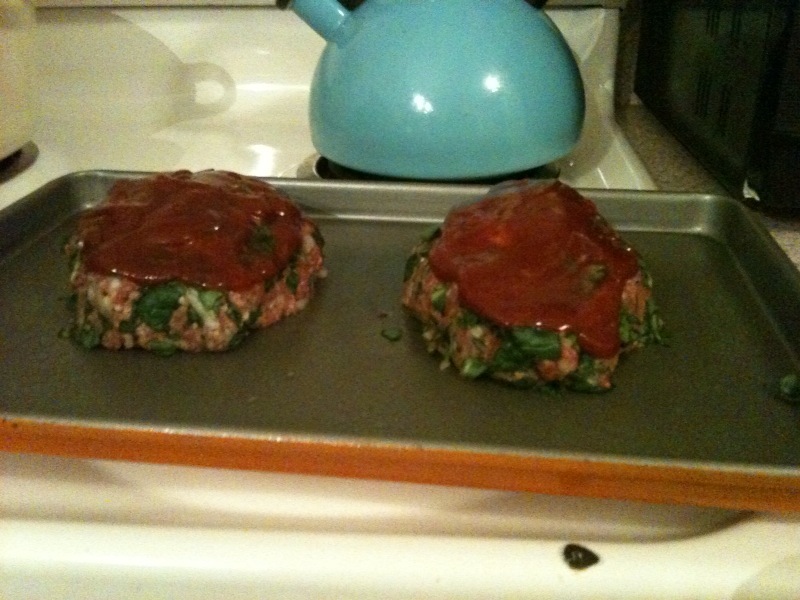 Enter last night’s meatloaf. 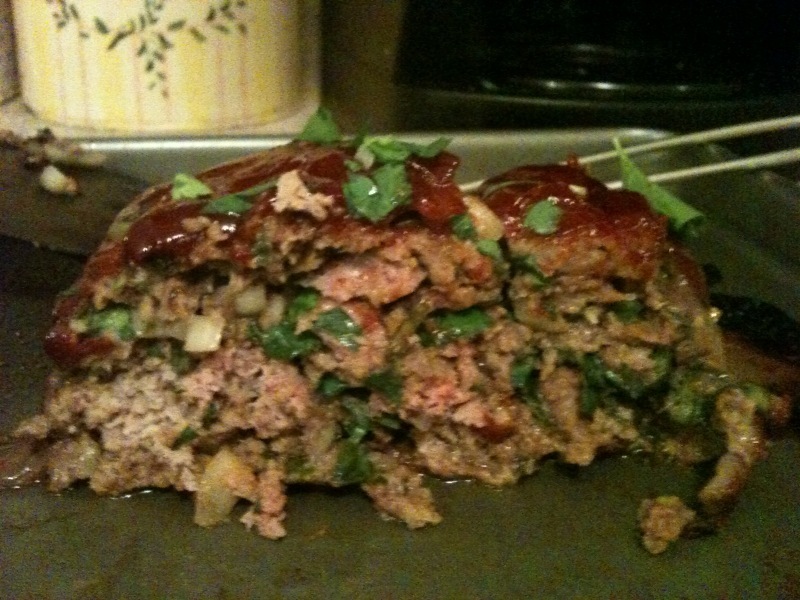 After 5 recipes and a few personal inspirations, here’s the meatloaf mash-up that I made. It was quite tasty but still felt healthy because of all the fresh green stuff in it. It may look like a lot of greenery, but trust me, you still get all that meatloafy flavor that you’re looking for. Preheat oven to 400 degrees. Spray baking sheet with a little non-stick cooking spray. Mix bread crumbs with milk and set aside while chopping ingredients. Mix remaining ketchup with remaining Worcestershire sauce and spread over loaf(ves). If making one large loaf, bake for about an hour. If making two smaller loaves, cut the time in half. Bake until the center is no longer pink. Substitute one of the pounds of beef with 1/2 lb. ground pork and 1/2 lb. ground veal. I make a meatball recipe with this meat combo, so why not use it for a loaf? Bake this in a cast iron skillet instead of as a loaf. My mom always did meatloaf this way, and it makes me feel nostalgic. If you decide to do that, lower the oven temperature to 350 and bake for an hour. Buy all of the ingredients in one trip. Yeah, I forgot to get enough meat. For the MEATloaf. And I had to head back to Kroger mid-preparation. 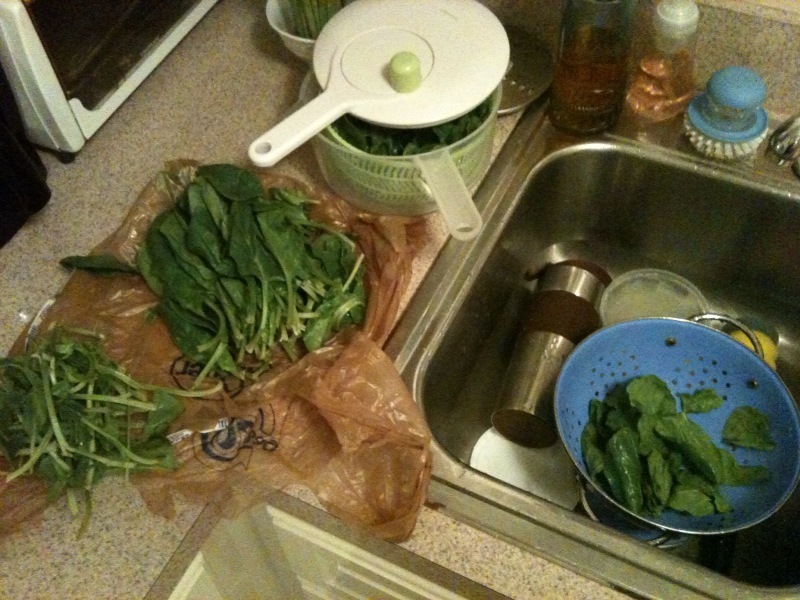 In my defense, I don’t cook with meat very often, so I kinda forget about that section of the grocery store. 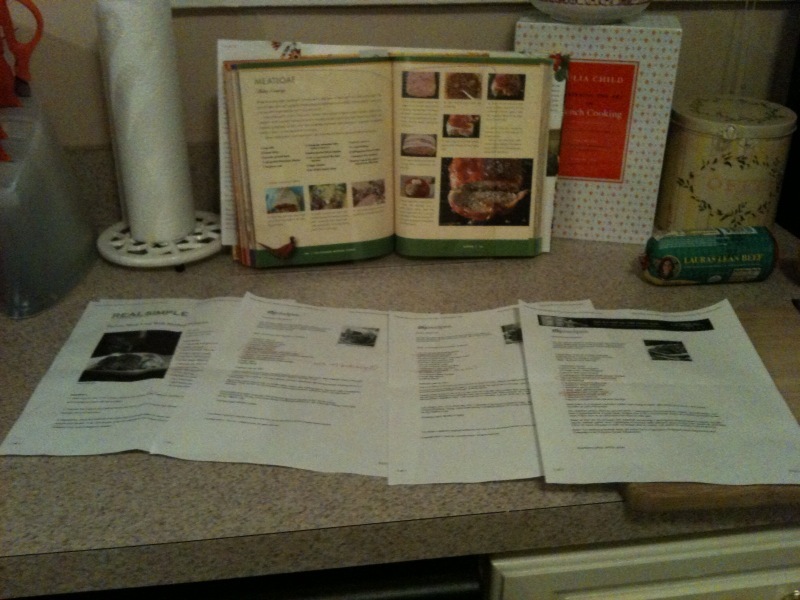 Categories: Recipes | Tags: meat, recipes | Permalink.